I have been learning Irish for several years now. I don’t have as much time as I’d like to devote to it but I don’t let that stop me from persisting. Little by little, a word here and there, and now this crazy language doesn’t look quite as strange as when I first started to tackle it. My longtime tutor and fellow learner sent me this one panel today. It gave me a much needed giggle. Of course, I had to work out the grammar and vocabulary. 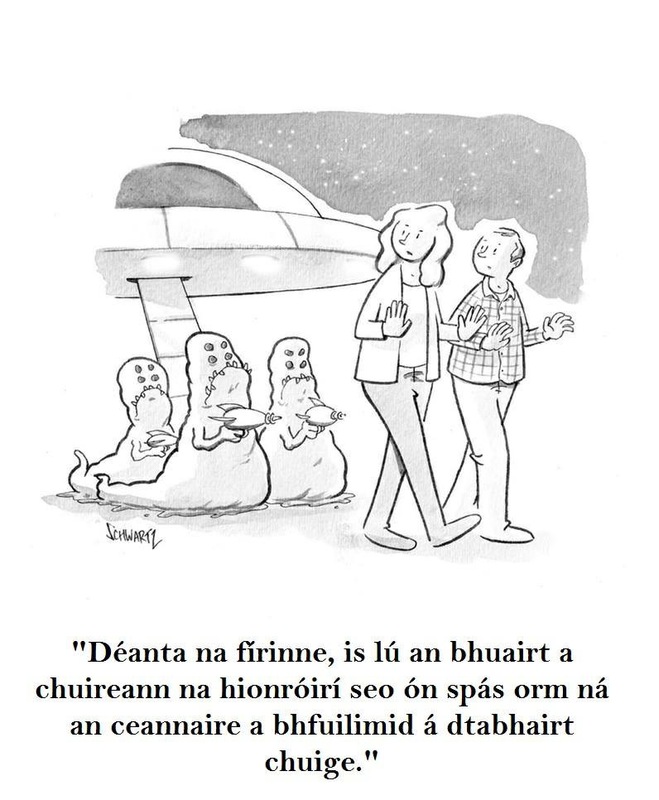 a bhfuilimid á dtabhairt chuige. = to whom we are taking them. Actually, these invaders from space are less troubling than the leader we’re taking them to.